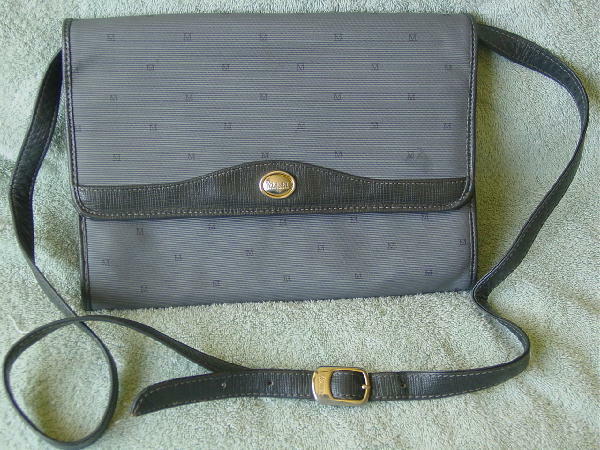 This vintage medium gray with a touch of blue horizontal textured purse is by Monet. 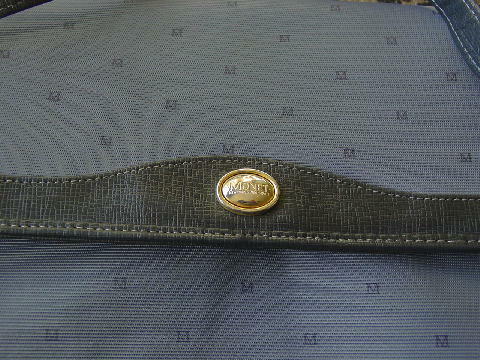 The back has an open pocket and there are light blue (looks like) crayon marks below the top. 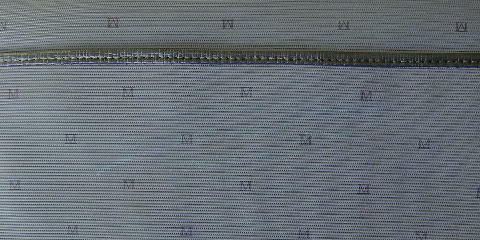 The letter M is all over the surface. It has an envelope styling with a magnetic snap closure behind the gold-tone front Monet ornament. Under the flap is a front compartment, just like the back. The interior center has a back zippered pocket and an interior front open pocket. 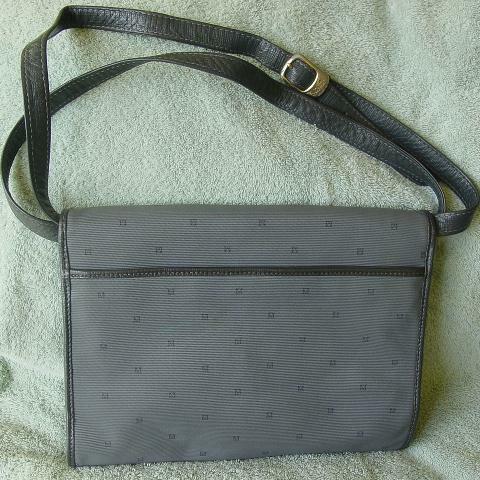 It has a gray faux leather lining. You can adjust the 51" long by 5/8" wide shoulder/long handles strap. Monet is etched on the tarnished gold-tone buckle.